Hello guys! Well I finally finished my Alphabet Nail Art Challenge. I never thought I would see the day. As for today's post is Z for Zebra. As usual I didn't want to do the same design I've seen every where. I also wanted to include something more floral, and what better way to combine the two. First for the base, I applied two coats of OPI Alpine Snow. I first started off with the zebra print. This has to be the easiest and perfect design for beginners. 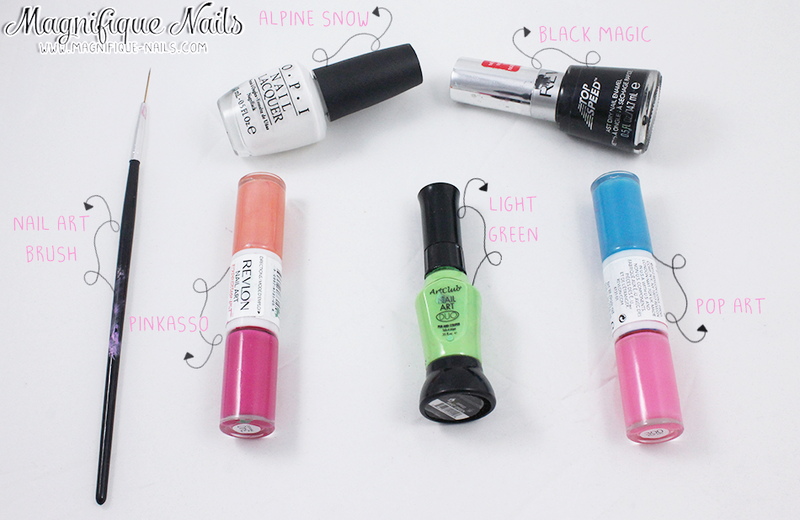 With a nail art brush or stripping brush, I drew the stripes using Revlon Black Magic. 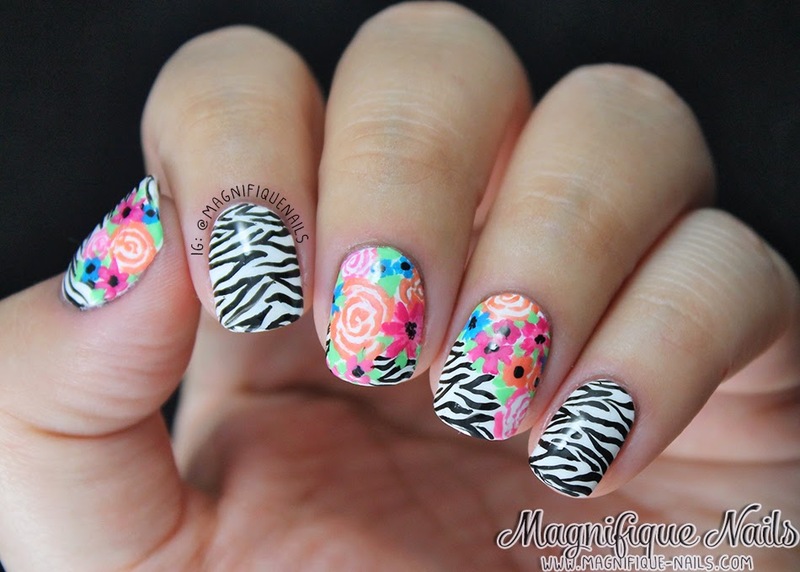 Leaving some space for the florals, I drew smaller zebra stripes on the corners of the nails. 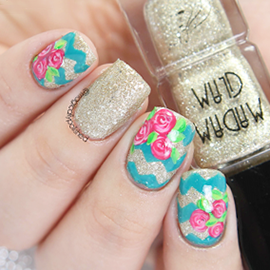 For the florals, I wanted to create various of sizes colors on the nails. With a nail art brush, I drew the roses with Revlon Pinkasso. 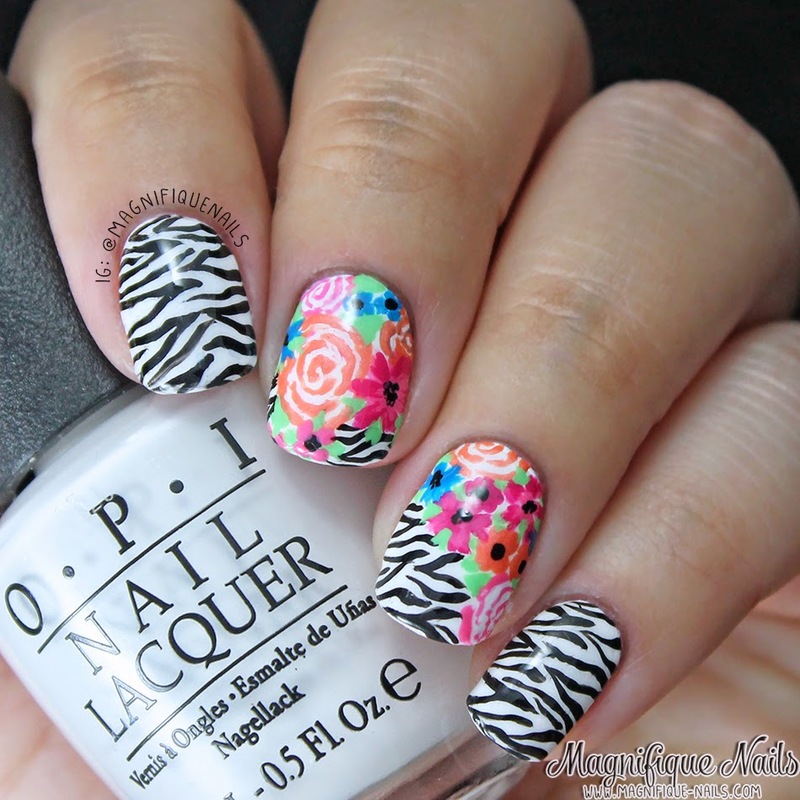 I wanted to add some small florals around the roses, using Revlon Pop Art. I added leaves using Art Club stripping brush Light Green. Lastly, I then sealed the designs with Duri- Super Fast Dry Through Top Coat, that's it! Overall I really loved how they came out. Most of all the color combinations were my favorite. With all this snow, I am for sure getting ready for spring! Hope all of you enjoyed my post today! What do you guys think? Let me know in the comments below!